Nothing gives me the warm and fuzzies like watching my two small people interact with each other. Even when they’re fighting over a toy, I can’t help but smile at their effortless bickering. I can remember battling with my brother and sister—it goes with the territory of early siblinghood after all, and it’s a right of passage for every budding dynamic duo. Of course, I much prefer to watch my two toddlers hug and kiss and cuddle and snuggle up together. It’s the sweetest. 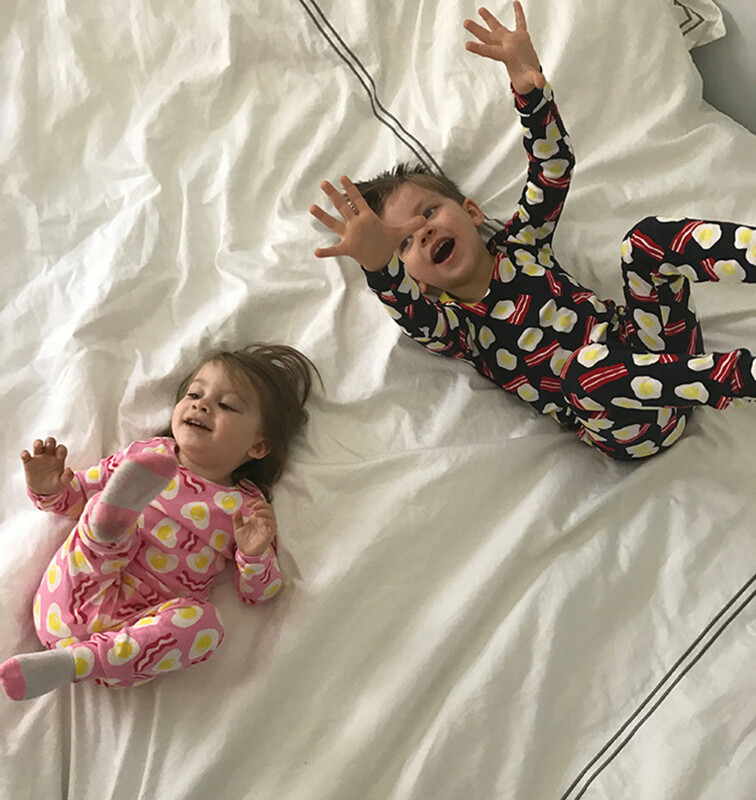 I love it when they climb into Mommy and Daddy’s big bed in the morning—their tiny bodies warm with sleep, as they huddle together under our fluffy down comforter. Once in a blue moon, they’ll miraculously nod back off to Slumberland for a bonus hour or two. And, inevitably, I&apos;ll spend a good 10 minutes watching them softly breathe in harmony, tangled up in each other’s arms. Indeed, that’s a rare occurrence. The early hours of morning usually turn into raucous sibling playing—which turns into wrestling… which turns into fighting. But they always make up… usually over a big breakfast date. 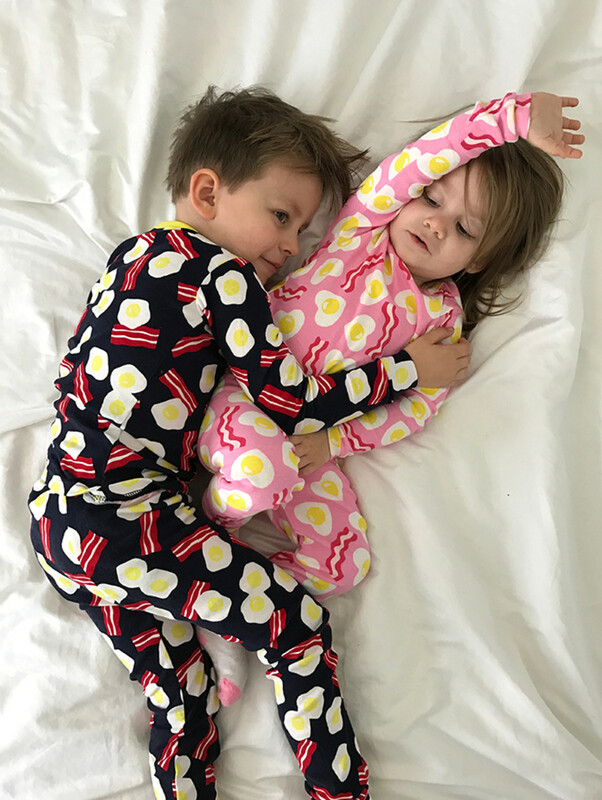 Speaking of breakfast, how cute are these BabyGap bacon-and-egg sleep sets? 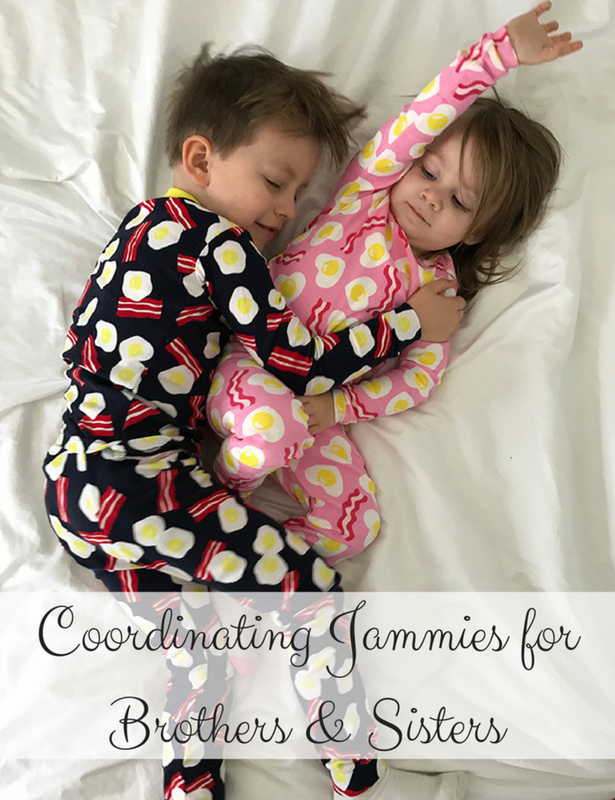 My little loves make quite a delicious duo, tasty twosome, and palatable pair in these pajamas. I could just eat them up! 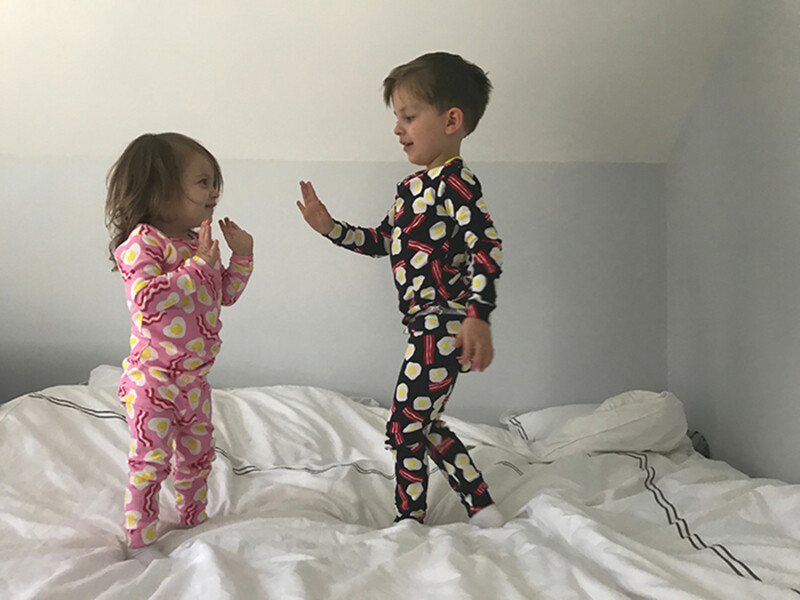 It’s National Siblings Day, and we are spreading the brother-sister love with a roundup of some of our favorite pajama pairings for boys and girls. Because, as my parents always told me and my big bro and sis, "kids... they&apos;re so cute when they&apos;re sleeping."